Valentine’s Day is at the corner and the red heart patten can be seen everywhere. I decided to take some time to search for products in heart shape…Due to the amount of finding, I will split them into two posts. 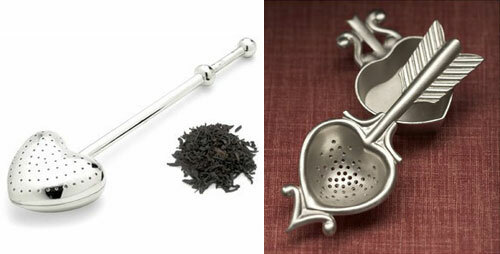 And here is today’s topic – 11 Heart-shaped Kitchen Related Products. 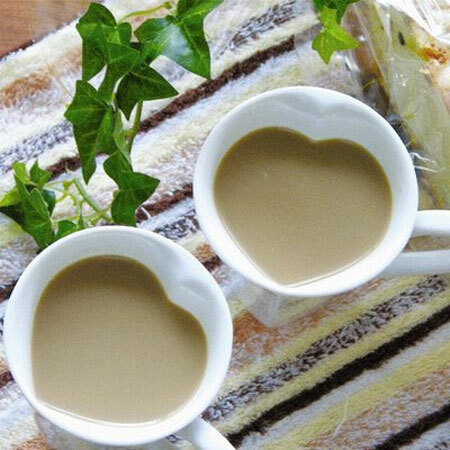 The photos are the Little Heart Drinking Glass, by Etienne Meneau. Little Heart will only made 12 and priced at the 1500 Euros!!! 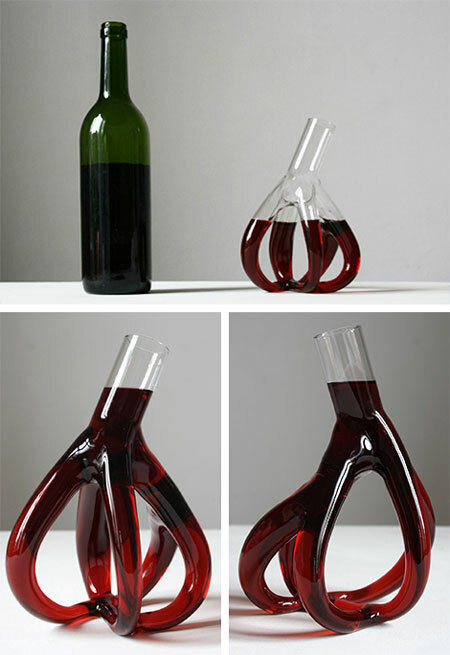 “dinner4two”, a contraption made by the romantically named designer Ricardo Sa Freire. 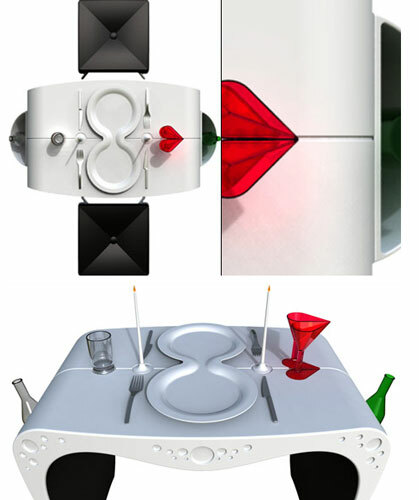 Take a moment to explore the same-plate, the broken heart glass, and the snug split-line table. Kisses! 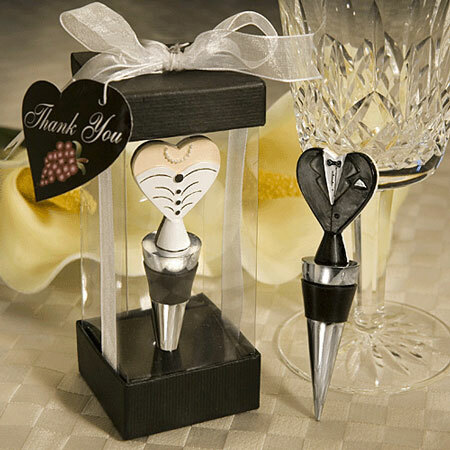 Allowing for a dramatic 360 degree view – elegantly finished with a white organza bow and designer heart shaped wine theme. 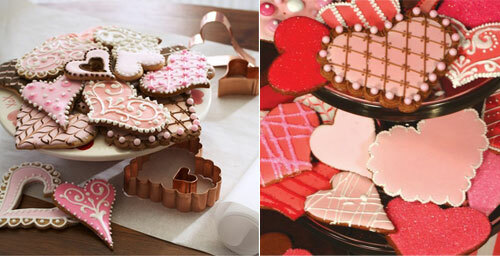 These are so cute and you can make all sorts of heart decorated cookies. You just want to bake if you see these! 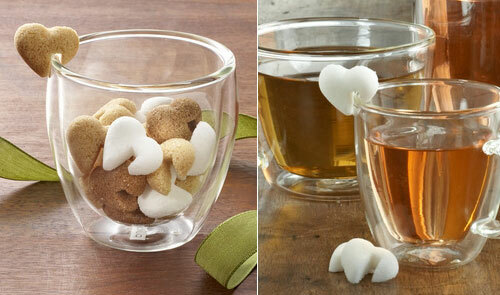 Romantic heart cookies and tea! Yummy! 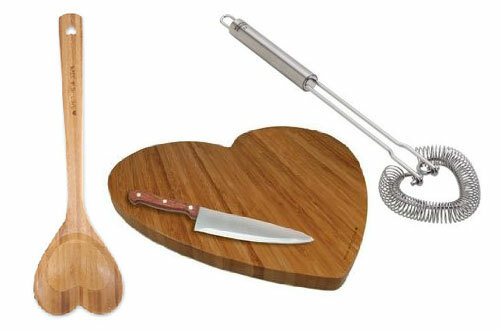 That will be an awesome gift set for the kitchen lover. I love fondue! This set is always a hit on any occasion! but especially on Valentines Day! 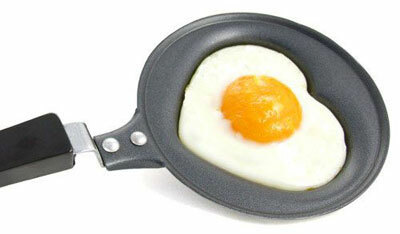 This Heart-Shaped Frying Pan was to cute to pass up. Some say that the way to your lovers’ heart is through their stomach, so this is your chance to treat your partner to a romantic fried egg and see what happens. Or you could even try your hand at heart-shaped pancakes. The recipes for romance are endless. 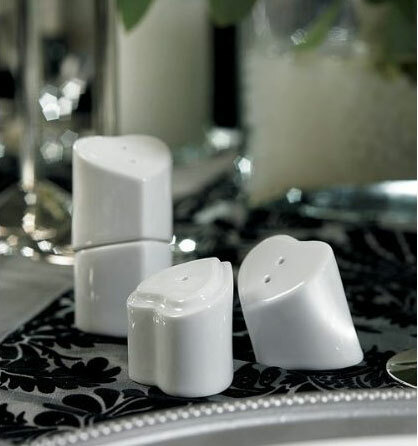 Lovely salt and pepper shaker… too bad I miss that in my post about creative and stylish salt and pepper shaker set (). CUTE! CUTE! CUTE! I love these. This article is written in，I was looking for the information.Thank you and your share this articl at here.